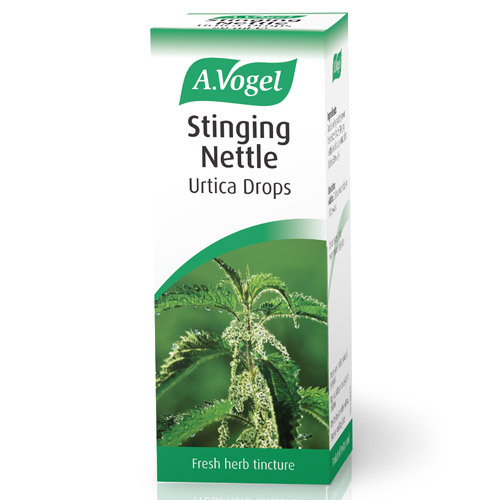 Urtica, or as it is more commonly known, Stinging Nettle, has a well-known reputation for its sting when the skin touches the hairs and bristles on the leaves and stems. The name Urtica comes from the Latin verb urere, meaning `to burn’. Today A. Vogel is kinder and the leaves and roots of Urtica plants are carefully harvested and manufactured twice yearly into a tincture. Tincture of organically grown fresh Urtica dioica (Stinging Nettle) aerial parts, extracted in alcohol (50%V/V). 20 drops twice daily in a little water. Seek medical advice if pregnant. 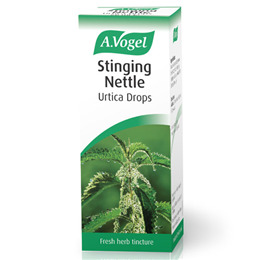 Below are reviews of A Vogel Stinging Nettle - Urtica Drops - 50ml by bodykind customers. If you have tried this product we'd love to hear what you think so please leave a review. I had two periods of stiffness in my right hand's index, middle & ring fingers. Nothing I tried helped. After three weeks of Urtica drops, there was a definite improvement & after five weeks my fingers moved freely. I take only 20 drops in the am now & after five months all my fingers move normally. I hope this helps others. A Vogel Stinging Nettle (Urtica dioica), has a reputation for its sting when the skin touches the hairs. When the hairs on the Urtica plant come into contact with a painful area of the body they can cause a decrease in the original pain.